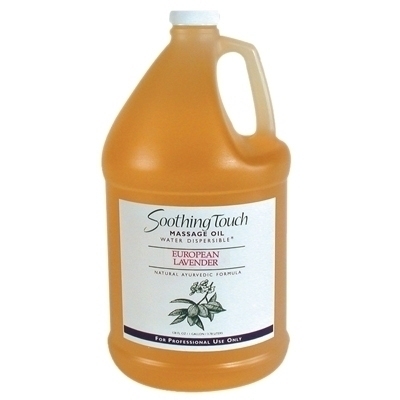 1 Gallon: Lavender is known for its soothing and calming effect. This blend leaves the client relaxed and balanced. Indulge your clients in a relaxing massage using Soothing Touch Ayurvedic Massage Oils. These water dispersible oils lubricate, moisturize and repair the skin, providing antioxidants and nutrients. Enhancing skin contact during bodywork, these healing oils also allow the therapist to release more tension and unblock vital energies with a deep, smooth glide.